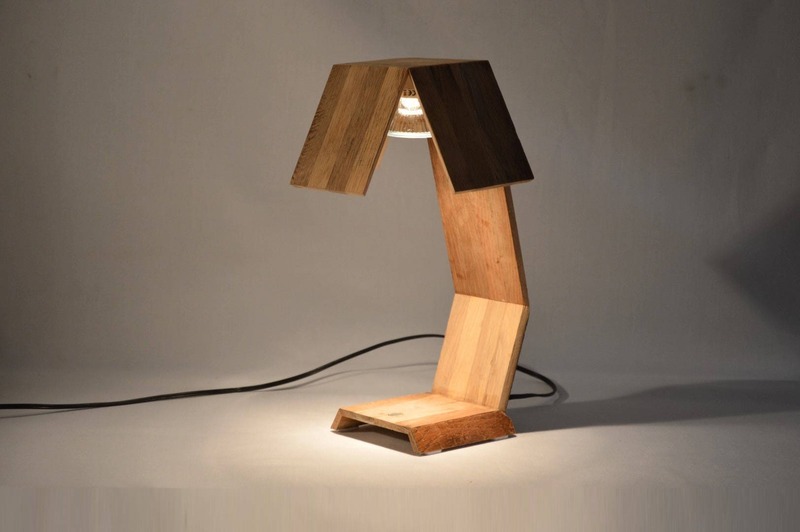 Desk lamp design in recycled oak wood. Minsnax. 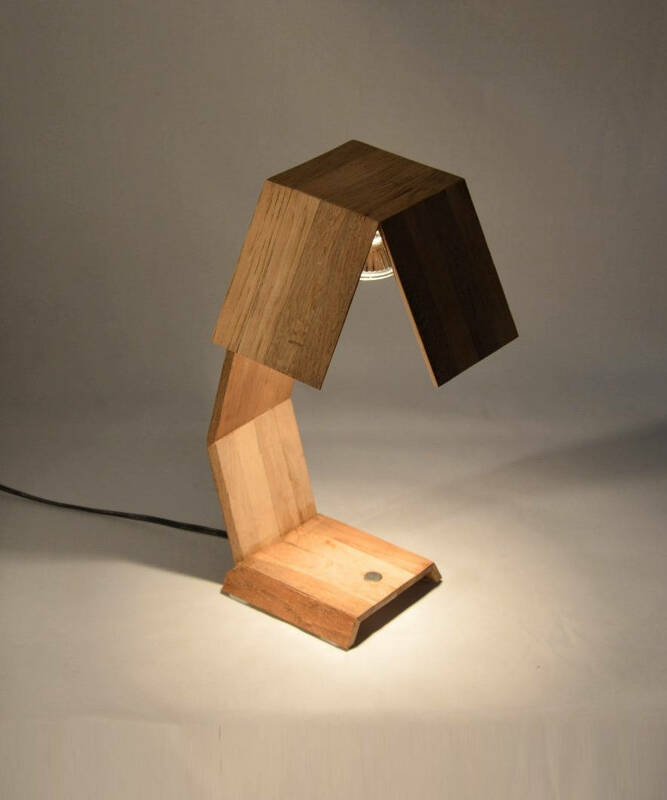 Minsnax design lamp made of recycled wood. 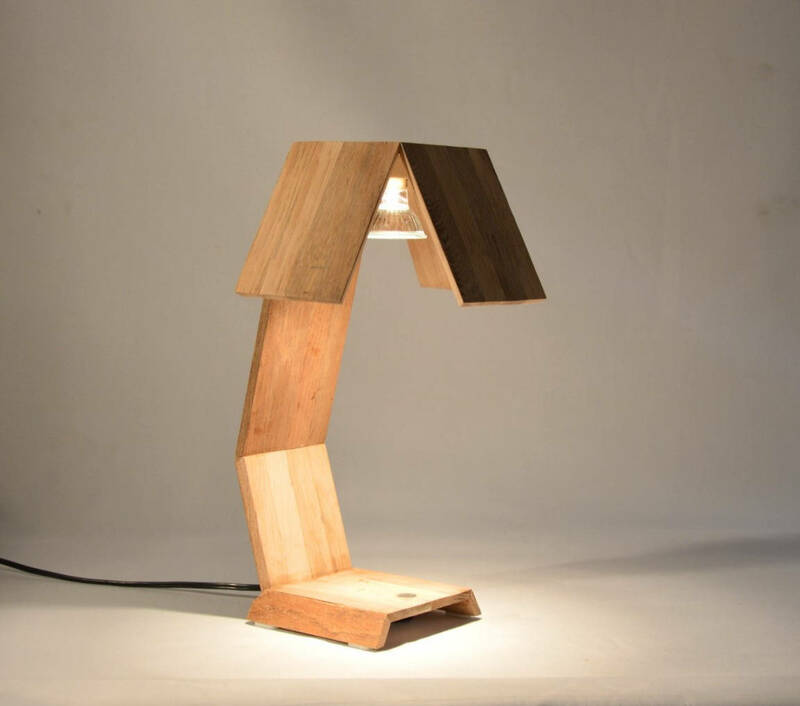 Table lamp, desk lamp, modern design wooden small tactile surface on one corner where you can adjust the light intensity (three different intensities). Soft, natural and warm atmosphere. 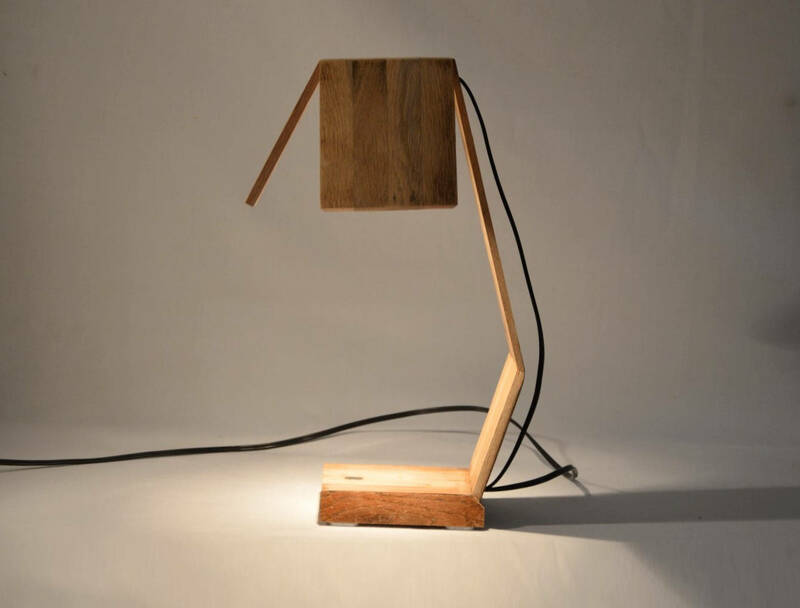 It is made from old oak wood, which has been removed from a home from the 50s in France. We removed the old glue and each piece was painted one by one to create this very stylish desk lamp.